The Site and Services are intended solely for persons who are 21 or older. Any access to or use of the Site or Services by anyone under 18 is expressly prohibited. By accessing or using the Site or Services you represent and warrant that you are 21 or older and will not use Site for any purpose that is unlawful or prohibited by these Terms. All Content found on the Site was created for informational purposes only. Any statements about, or descriptions of, products have not been evaluated by the U.S. Food and Drug Administration and the results indicated may not be the same for all individuals. All products should be used strictly in accordance with the product directions and precautions. The Content is not intended to be a substitute for professional medical advice, diagnosis, or treatment. Always seek the advice of your physician or other qualified health provider with any questions you may have regarding a medical condition. Never disregard professional medical advice or delay in seeking it because of something you have read on this Site. THIS SITE IS CONTINUALLY UNDER DEVELOPMENT AND GG STRAINS MAKES NO WARRANTY OF ANY KIND, IMPLIED OR EXPRESS, AS TO ITS ACCURACY, COMPLETENESS OR APPROPRIATENESS FOR ANY PURPOSE. In order to access certain features of the Site and Services and to post any Content on the Site or through the Services, you may be required to register to create an account (“Account”). During the registration process, you will be required to provide certain information and you will establish a username and a password. You agree to provide accurate, current and complete information during the registration process and to update such information to keep it accurate, current and complete. We reserve the right to suspend or terminate your Account if any information provided during the registration process or thereafter proves to be inaccurate, not current or incomplete. You are responsible for safeguarding your password. You agree not to disclose your password to any third party and to take sole responsibility for any activities or actions under your Account, whether or not you have authorized such activities or actions. You will immediately notify us of any unauthorized use of your Account. This will let GG Strains LLC to terminate upon violations of any of these restrictions. Upon termination, your viewing right will also be terminated and you should destroy any downloaded materials in your possession whether it is printed or electronic format. All the materials on GG Strains LLC’s Website are provided “as is”. 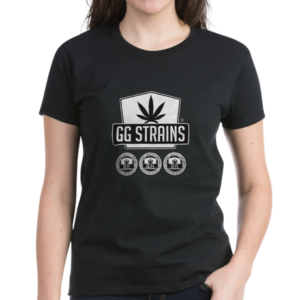 GG Strains LLC makes no warranties, may it be expressed or implied, therefore negates all other warranties. Furthermore, GG Strains LLC does not make any representations concerning the accuracy or reliability of the use of the materials on its Website or otherwise relating to such materials or any sites linked to this Website. We welcome and encourage you to provide feedback, comments, ideas, proposals or suggestions for improvements to the Site and Services (“Feedback”). You may submit Feedback by emailing us at support@ggstrains.com or through the “Support” section of the Site. You acknowledge and agree that all Feedback will be the sole and exclusive property of GG STRAINS and you hereby irrevocably assign to GG STRAINS all of your right, title and interest in and to all Feedback, including without limitation all worldwide patent rights, copyright rights, trade secret rights, and other proprietary or intellectual property rights therein. At GG STRAINS’s request and expense, you will execute documents and take such further acts as GG STRAINS may reasonably request to assist GG STRAINS to acquire, perfect and maintain its intellectual property rights and other legal protections for the Feedback. For any Feedback that you submit to GG STRAINS, in addition to any other representations or warranties in these Terms, you represent and warrant that you have the right to disclose such ideas or proposal to GG STRAINS and that such disclosure does not violate the rights of any other person or party. You will indemnify and hold harmless and defend GG STRAINS from and against any claims, losses, expenses and liabilities arising from breach by you of the foregoing representation and warranty. 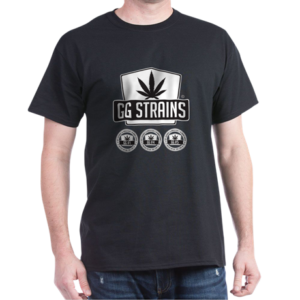 GG Strains LLC or its suppliers will not be hold accountable for any damages that will arise with the use or inability to use the materials on GG Strains LLC’s Website, even if GG Strains LLC or an authorize representative of this Website has been notified, orally or written, of the possibility of such damage. Some jurisdiction does not allow limitations on implied warranties or limitations of liability for incidental damages, these limitations may not apply to you. The materials appearing on GG Strains LLC’s Website may include technical, typographical, or photographic errors. GG Strains LLC will not promise that any of the materials in this Website are accurate, complete, or current. 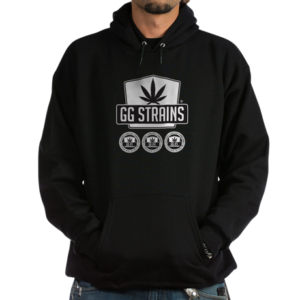 GG Strains LLC may change the materials contained on its Website at any time without notice. GG Strains LLC does not make any commitment to update the materials. 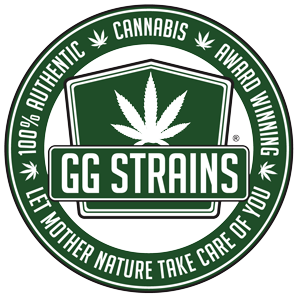 GG Strains LLC has not reviewed all of the sites linked to its Website and is not responsible for the contents of any such linked site. 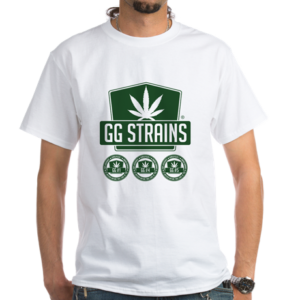 The presence of any link does not imply endorsement by GG Strains LLC of the site. The use of any linked website is at the user’s own risk. Any claim related to GG Strains LLC‘s Website shall be governed by the laws of USA without regards to its conflict of law provisions.